Christian Bolton is the Technical Director for Coeo Ltd. and a Microsoft Certified Architect, Master, and MVP for SQL Server. 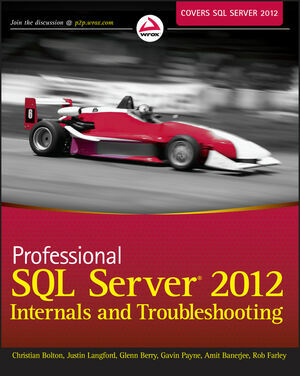 Justin Langford is a Director at Coeo Ltd., a SQL Server MVP, and an author. Glenn Berry is a Principal Consultant at SQLSkills.com, a SQL Server MVP, and an author. Gavin Payne is a Senior Consultant for Coeo Ltd. and a Microsoft Certified Master for SQL Server. Amit Banerjee is a Premier Field Engineer at Microsoft and the owner of TroubleshootingSQL.com. Rob Farley is Owner/Principal of LobsterPot Solutions, a PASS Director, and a SQL Server MVP.